OK you're right - I read the post too quickly. 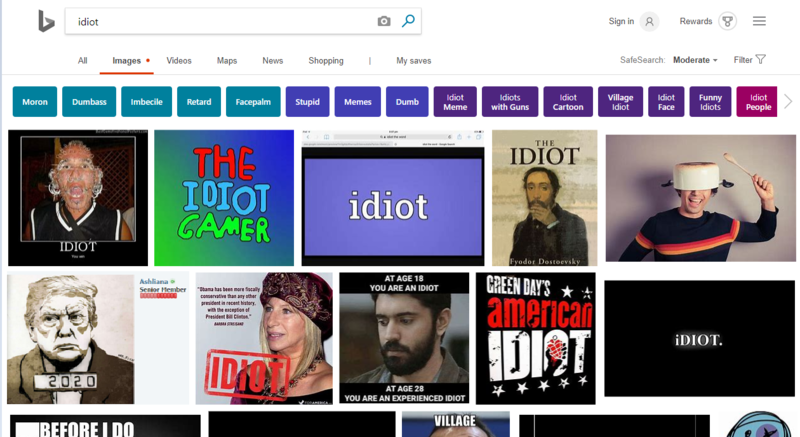 So I entered the word idiot in an image search, and yeah Trump shows up quite a bit in the initial results. Whether that means a lot of people believe Trump is an idiot or there is a bias in Google's algorithms, I don't know. I would lean towards the former though. So...people who use non-Google search engines as a whole mostly don't think Trump is an idiot, only Google users? 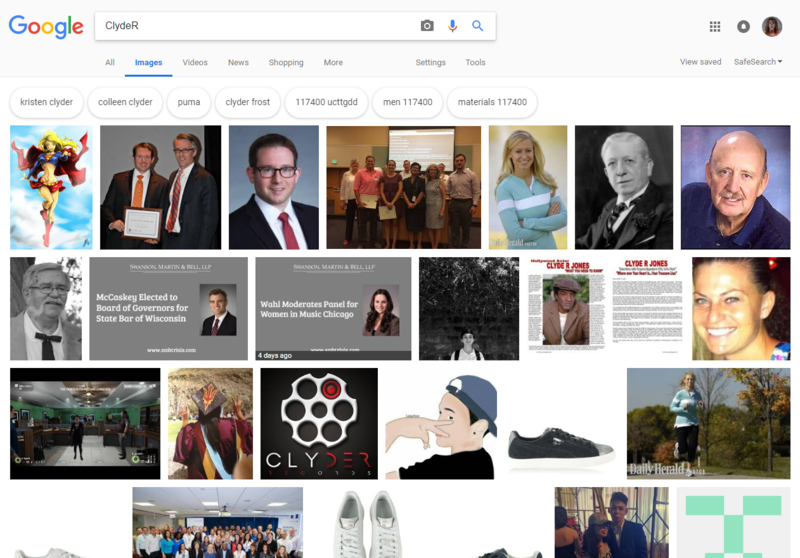 I did an image search for "genius" and got images of Trump. They were all of him observing the eclipse. Is there anything you can search for that does not turn up images of Trump? Is there anything you can search for that does not turn up images of Trump? Last edited by Methais; 09-14-2018 at 02:24 PM. Wasn't Yahoo busted with stealing Google's search results?